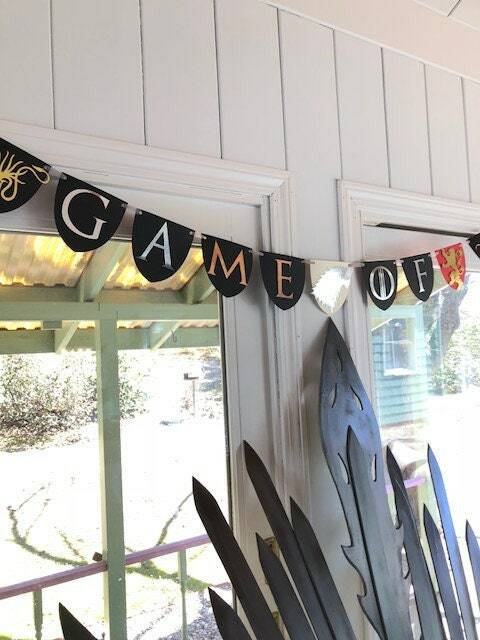 - Each pennant is 5.2" x 5.2"
Banner ONLY! 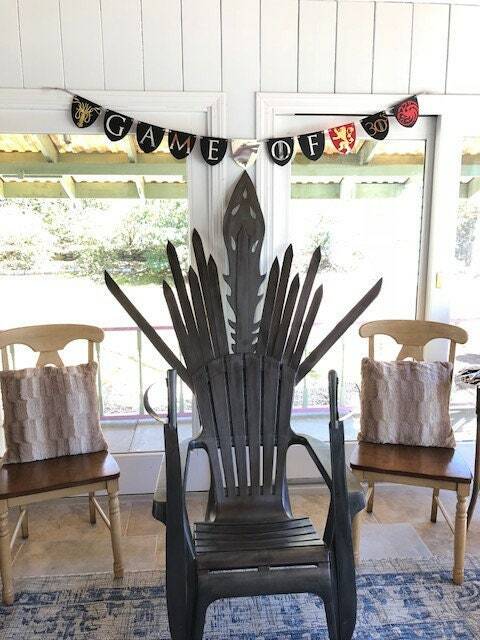 See Game of Thrones inspired shop section for coordinating decor. Copyright Notice: This product cannot be used commercially, it is for personal use only. Any licensed images within this listing are free and not being sold; they maintain the copyright of their original respective owners. Purchase price is for our time, creativity, and labor in creating the piece. Copyright restrictions only permit images to be used for one time personal use, such as birthday parties. Original copyright owners do not sponsor, authorize, or endorse this product.